Compact set as issued in UK military survival kits and found in our survival tins. Somtimes referred to as the 'RAF Striker' as these are issued to Air Crew. 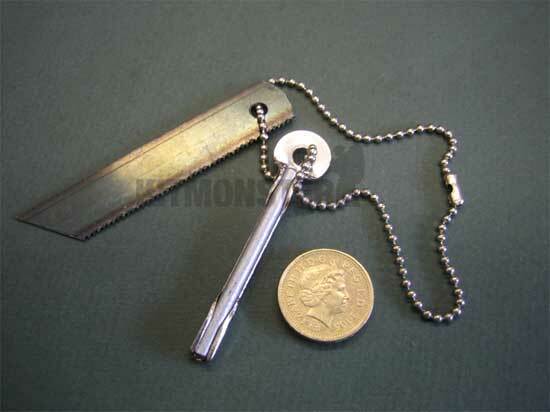 5cm Flint rod with saw blade striker, total weight 15g. The hacksaw blade causes a greater shower than other strikers.